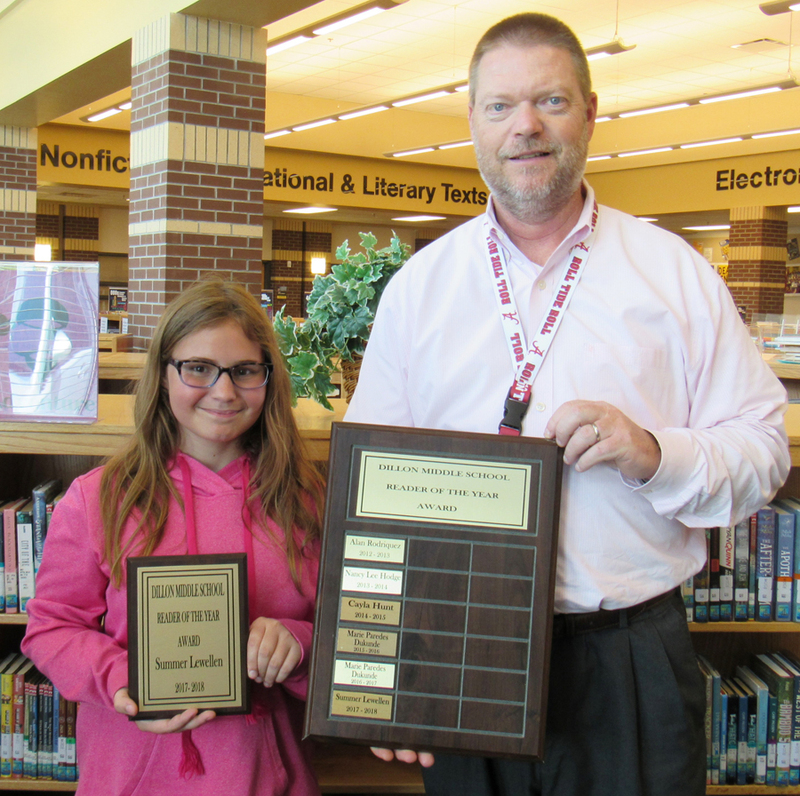 Summer Lewellen, an eighth-grader at Dillon Middle School, was recently honored as the school’s Reader of the Year for 2017-2018. This award is given annually to one student. 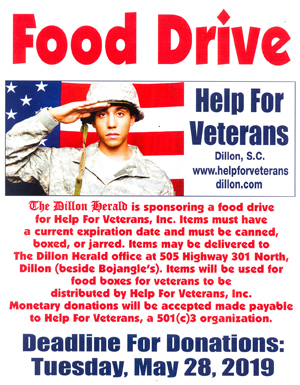 Criteria used in selecting the winner include demonstrating characteristics of a lifelong reader and learner and actively participating in such school-sponsored reading events as the Lunch Bunch Book Club, the South Carolina Junior Book Award program, and Reading Counts. In giving this award, Dillon Middle School hopes to recognize the importance of reading and to encourage students to become lifelong readers and learners. Summer was recognized with an engraved plaque and a $100 cash prize. Her name has also been added to a plaque which is on permanent display in the Dillon Middle School Media Center.